Duff has introduced proposed bill 556, An Act Concerning Additional Compensation for Certain Retired Public Safety Employees. The bill would permit a municipality, by a two-thirds vote of its legislative body, to annually pay one of its public safety employees who had been disabled on duty the difference between the employee’s disability retirement pay and regular rate of pay prior to retirement until the employee reaches age 65. Phil Roselle had been a Norwalk Police Officer for more than 30 years when he was accidentally shot by his sergeant, Debbie Roselle wrote to Mayor Harry Rilling over the holidays. “For his years of service we need to do everything possible to help him. I called him this morning and confirmed our desire to get him assistance,” Rilling wrote in an email. 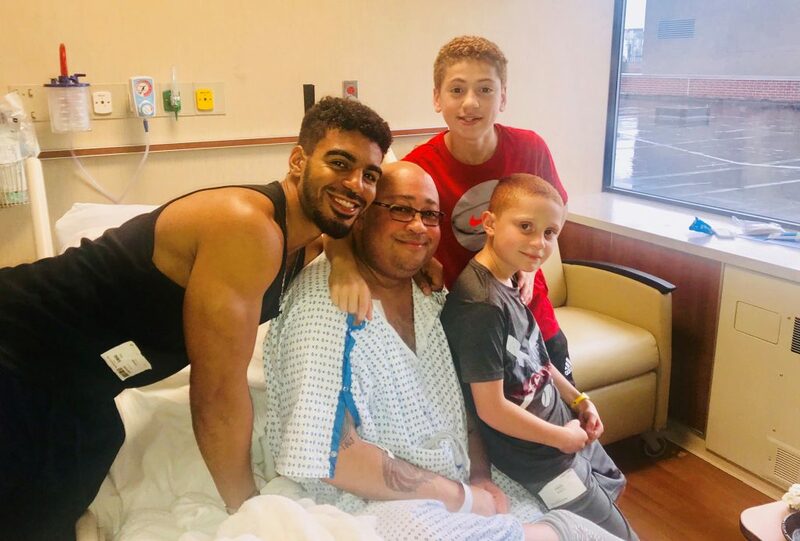 The Connecticut Interlocal Risk Management Agency (CIRMA), which insures Norwalk, claimed in October that Officer Roselle’s ailments were not the result of his injuries, The Hour reported at the time, as Roselle has had Type 1 diabetes for more than 30 years. Norwalk Police Chief Thomas Kulhawik on Sept. 10 explained to NancyOnNorwalk that Officer Roselle’s claim for Workman’s Compensation was accepted but the Commission ruled that he had healed sufficiently from the injury that he could return to duty. The Worker’s Compensation payments stopped and Roselle was put on sick leave because he said he could not return, and his sick time then ran out. A GoFundMe page has raised $20,570 to help the Roselles, as of Thursday evening. 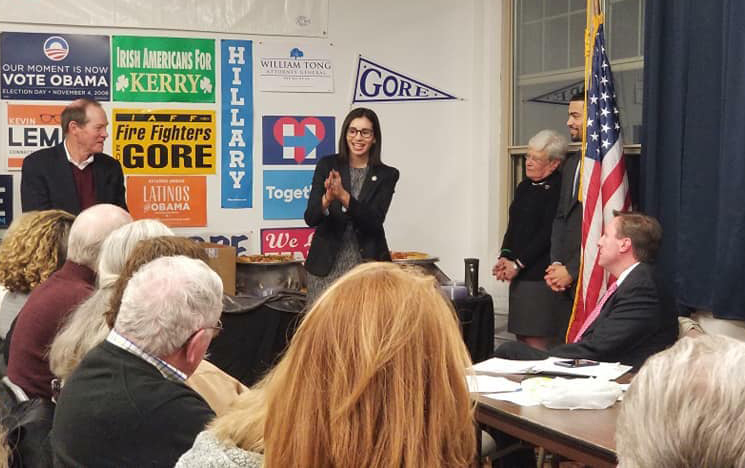 Common Council member Eloisa Melendez (D-District A) was elected Connecticut Democratic Party treasurer Wednesday. Melendez was first elected to the Council in 2013, at age 19, and is in her third term. She is a student at the University of Connecticut, Stamford campus, is President of the UConn Stamford College Democrats, is Vice President of the UConn Stamford Latinx Organization and also Norwalk Democratic Town Committee Vice Chairwoman. Former District 140 State Representative candidate John Flynn, a Republican, says he’s looking to challenge U.S. Sen. Richard Blumenthal (D-Conn.) in 2022. Blumenthal has not announced a reelection campaign. His office did not reply to an email from NancyOnNorwalk asking for a response to Flynn’s announcement. 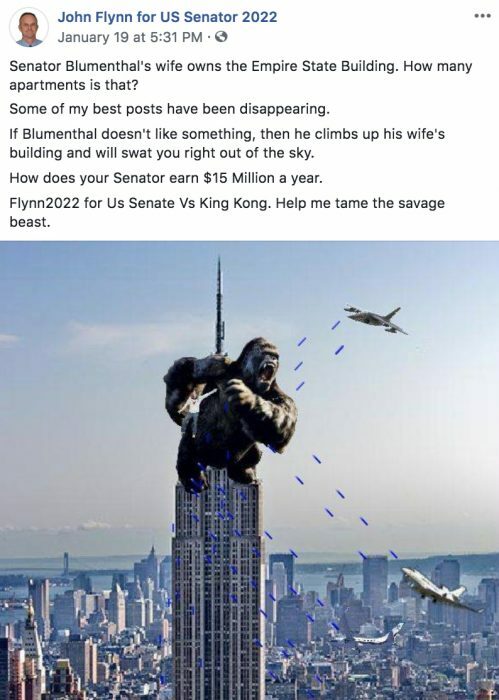 A John Flynn Facebook post. Flynn is seeking $650,000 in contributions, he said in a Friday email to NancyOnNorwalk; if he doesn’t get that within a year, he’ll drop out. He sent the registration paperwork to the Federal Election Commission as he couldn’t file online because of the shutdown, he said Sunday. His sister has been his treasurer but is unavailable due to work obligations and he needs a replacement, and he has some volunteers but needs one in each of Connecticut’s 169 towns, he said. Republican Town Committee Chairman Mark Suda did not reply to a Sunday email asking if the RTC is supporting Flynn. “I had nine Democrats helping me with my State Rep run. No Republicans. I am the only guy in District B. I tried to get Ernie Dumas to switch. I tried to get Colin H to switch,” Flynn wrote. Good job Bob. Well deserved benefit for the police. Officer Roselle should get whatever he needs from us. Now can we do something on insurance costs for the people that work for a living without the benefit of a company supplying benefits? The cost of insurance is nuts. If you stay home though Husky Insurance is free. Whats wrong with this picture? Nancy, Eloisa is also Vice Chair of the Norwalk Democratic Town Committee.